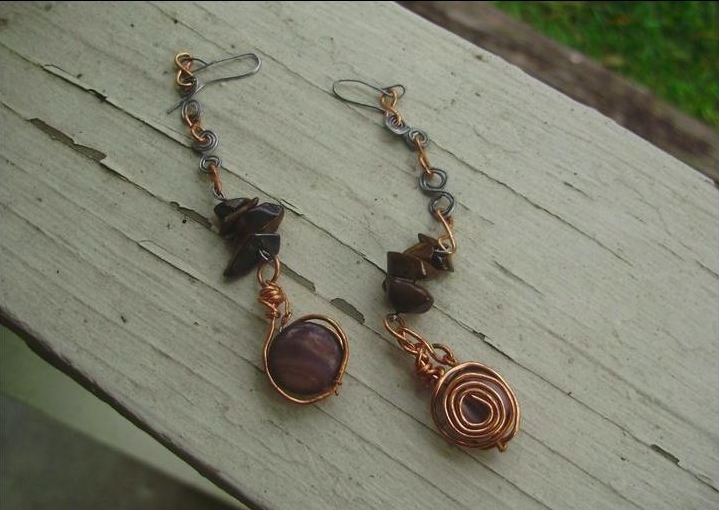 This complex earring consists of a thick steel spiral, cat's eye, various agate stones draping from chains of inter-locking steel and copper infinity links, and a thin, furry gray feather. This is ideal to wear as a set or as a single piece. 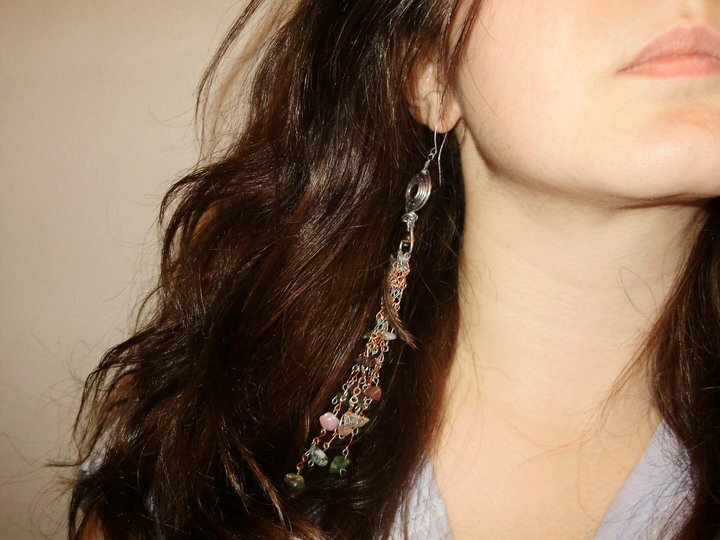 This earring drapes over the shoulder and is perfect for wavy, long hair. 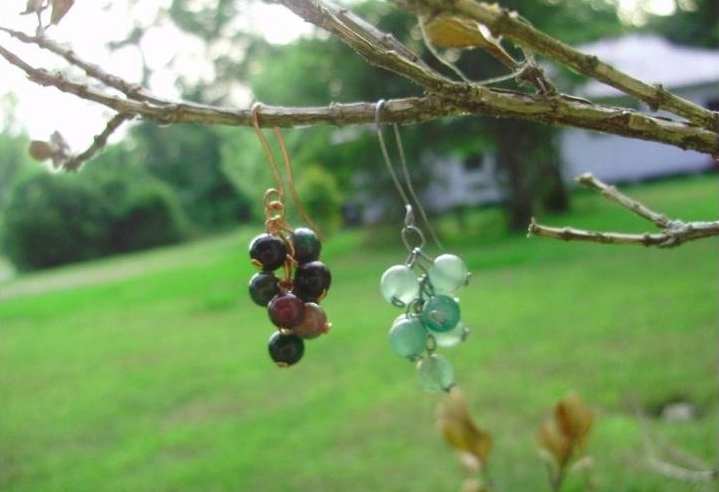 (Shown on the left) Grecian inspired grapes come in a natural colors. These emerald grapes are perfect for any Earth goddess. (Shown on the right) This Grecian inspired grape is perfect for both casual and classy events. 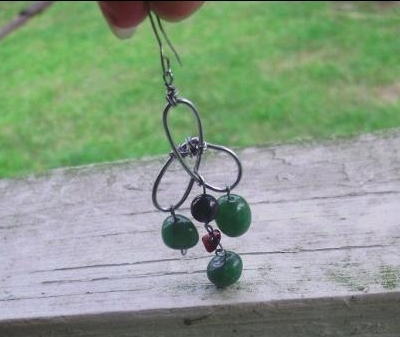 Green jade gemstones, emerald, and garnet, make these triquetra earrings truly unique. 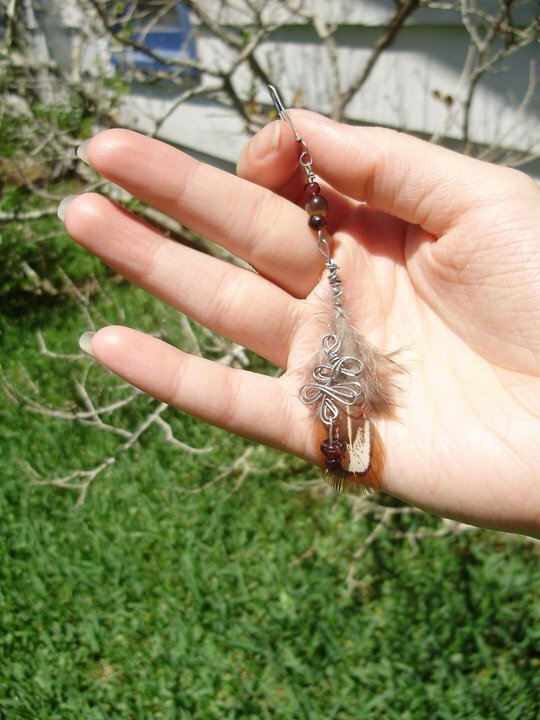 A medium-sized feather, red garnet, cat's eye, and a double tribal knot sit just above the shoulder-blade making it appropriate for the beach, school, or just hanging out. Copper and steel infinity chain links tiger's eye chips that lead toward a droplet of brown shell encompassed with a hand-wrapped copper swirl.